A new Global Disaster Database is hoping to use data from satellite imagery, geographic information systems and risk maps with existing information of disaster loss and damage to reduce the impacts of disasters. The United Nations Development Programme (UNDP) is working closely with governments and research partners to collect data and create a database of disaster information. 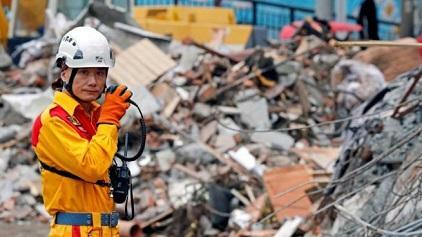 Once created the Global Disaster Database will be housed at the Global Centre for Disaster Statistics in Japan. It is hoped that the data will be able to increase disaster resilience in Asia, a region particularly vulnerable to natural disasters. Since 1970 a person in the Asia-Pacific region has been five times more likely to be affected by a natural disaster than anyone outside of the region. Similarly, between 1970 and 2016 Asia-Pacific lost $1.3 trillion in assets due to floods, storms, droughts and earthquakes. A key aspect of the 2030 Agenda for Sustainable Development is disaster resilience, to date the UNDP has assisted 16 countries in the region to establish their own databases for disaster loss and damage. The databases are able to establish where disasters occur, what could happen on a yearly basis and guide budget decisions. In some cases the databases contain decades worth of data which governments use to anticipate disasters and inform disaster resilience policies. Japan’s Tohoku University is currently researching tsunamis for the database, investigating how wave heights effect the number of fatalities. It is hoped that this will inform decisions on evacuation plans and protective infrastructure. The UNDP is also looking into disaster and climate displacement in the Philippines and Indonesia in collaboration with Stockholm Environment Institute and the Internal Displacement Monitoring Centre. By combining all of the available data countries will be able to analyse where displacement happens, how many people are displaced, where they go and how long for. The data base will also provide stronger monitoring for the 38 Sendai Framework for Disaster Risk Reduction indicators and help governments create smarter disaster risk reduction plans.